750 people demonstrate against AfD event in Cologne VHS adult education center. AfD and police kick protesters out and have an empty hall. UK: Over the last few weeks, the Oxford Union debating society has invited two far-right speakers. Weidel had to pull out under pressure, and Bannon was met by massive protests. 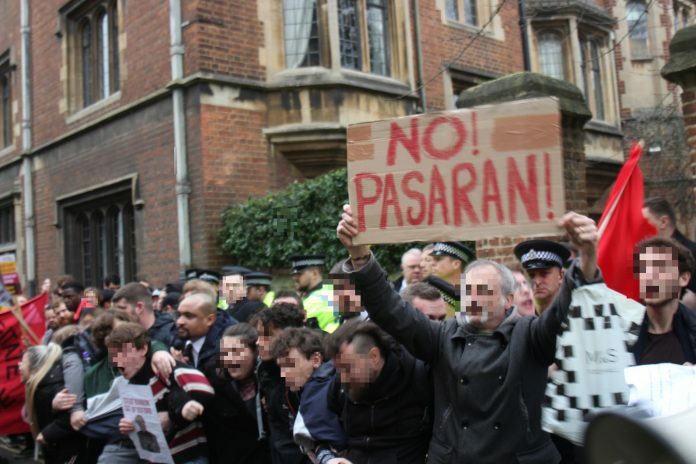 Oxford organisers report on what happened and how anti-fascists mobilised. UK: Anti fascists were happy to hear that after an excellent campaign by many in Oxford, including great work by Oxford Unite Against Fascism, the Oxford Union has withdrawn a speaking invitation next week to the far right AfD leader, Alice Weidel. UPDATE from November 2: Victory for anti fascists in Oxford! The Oxford Union has withdrawn a speaking invitation next week to the far right AfD leader, Alice Weidel. Oxford, UK: The Oxford Union debating society is playing host to Alice Weidel, the leader of the far-right Alternative für Deutschland party in the Bundestag. On March 2, 2017, anti-fascists protested against a debate with members of the fascist AFD party in “Café Swane” in Wuppertal, Germany. The event was planned as part of the election campaign for the upcoming state elections in the German state of Nordrhein-Westphalia in May 2017. 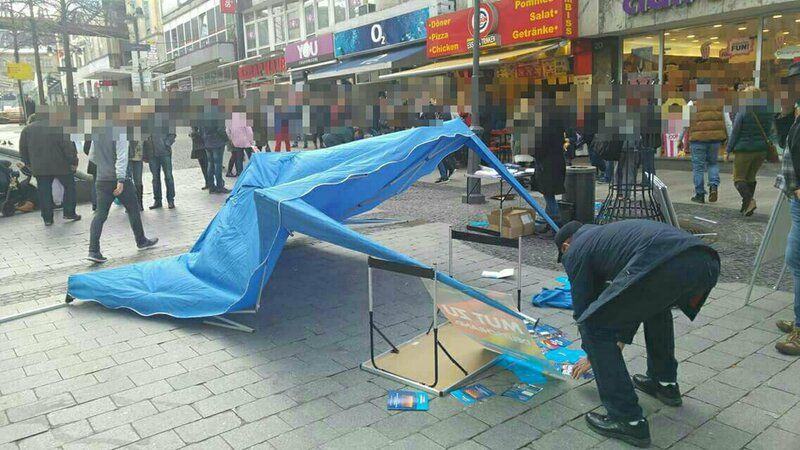 On March 4, an election stand of the fascist AFD in downtown Wuppertal was attacked by antifascists. 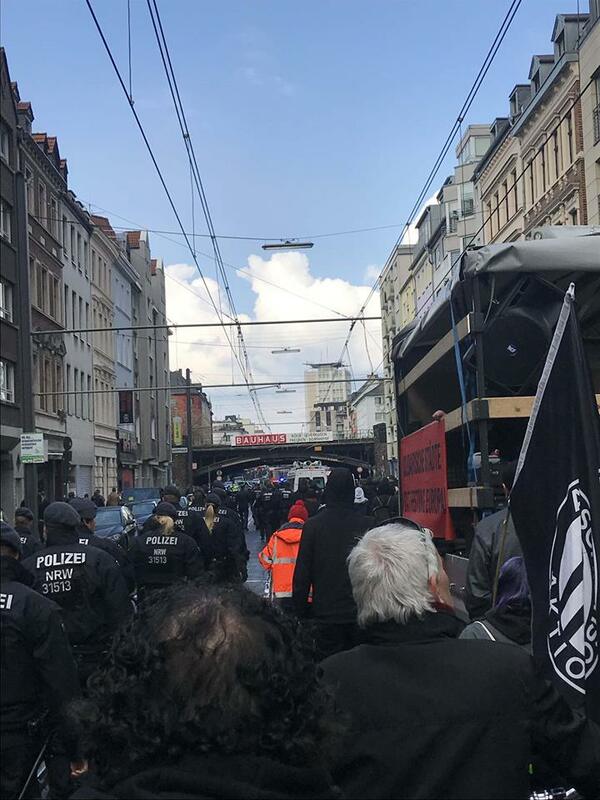 On the same day, there were also counter protests against a demo of the fascist party “Die Rechte” in the German city. 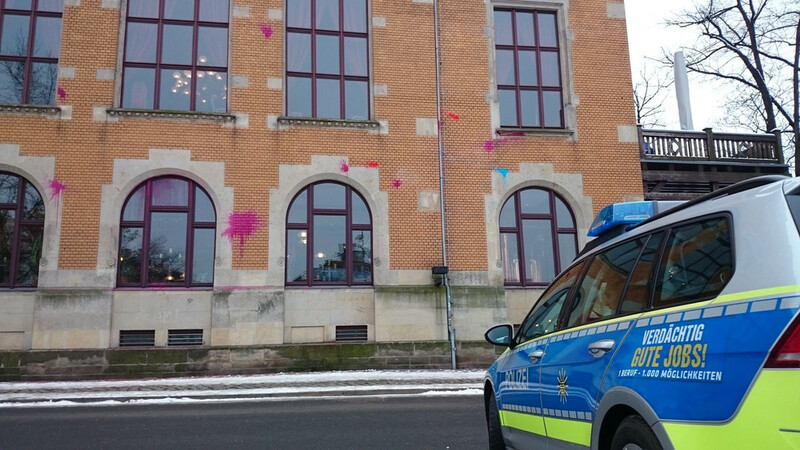 During the night hours activists carried out a paint bomb attack against the “Ballhaus Watzke” in Dresden, Germany. The “Ballhaus Watzke” was the location of the fascist AFD event, where prominent AFD party members held radical speeches on January 17th. Björn Höcke, chairman of the AFD group in the parliament of the German state of Thuringia showed his true face once again during a speech in Dresden, Germany last night. 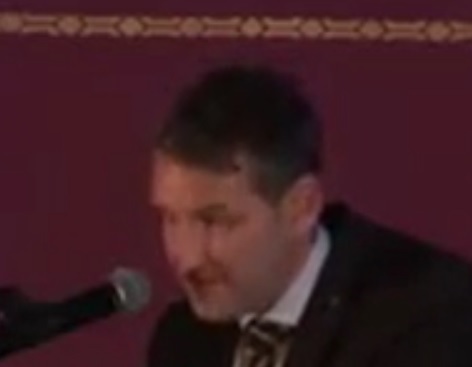 Image: Screenshot of Björn Höcke during yesterdays speech in Dresden, Germany (No photoshop, its the shadow of the mic…).